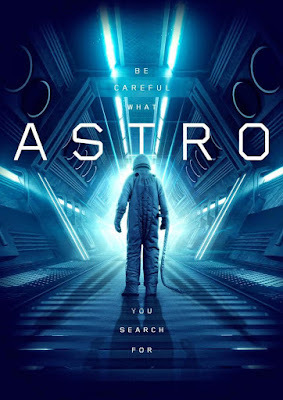 Sony Pictures Home Entertainment recently send us infromation for their upcoming DVD release of "Astro". The film stars Gary Daniels (The Expendables, Hunt to Kill), Dominique Swain (Alpha Dog), Marshal Hilton (Primal Rage) and Michael Pare (The Shelter). "Astro" hits retail on June 5th. This June, be careful what you search for. From director Asif Akbar comes the "compelling"* new sci-fi thriller Astro, starring Gary Daniels (The Expendables, Hunt to Kill), Dominique Swain (Alpha Dog), Marshal Hilton (Primal Rage) and Michael Pare (The Shelter), arriving on DVD June 5 from Sony Pictures Home Entertainment. A billionaire's private space exploration program returns to Earth with an abducted extraterrestrial from a newly discovered alien planet in a unique new film that "kickstarts an original sci-fi franchise"*. Louis Mandylor (My Big Fat Greek Wedding), Max Wasa, Omi Vaidya, Luke G. Crosby, Orson Chaplin, Gianni Capaldi, Spice Williams-Crosby, Courtney Akbar, Christopher Showerman ("Supergirl") and Randy Wayne (Hellraiser : Judgment) also star. From Sony Pictures Home Entertainment, Astro on DVD June 5.